Great Mountain Cabin in the woods, this is the place to get away and relax. This 2/2 cabin with an additional office space off the master is on just under 2 private acres, has great access and is located in a quite community just a few minutes from Hayesville. Home has a great front porch and a nice balcony off the master suite, Hardi-Board siding and a metal roof for low maintenance. Being sold furnished and ready to move in. 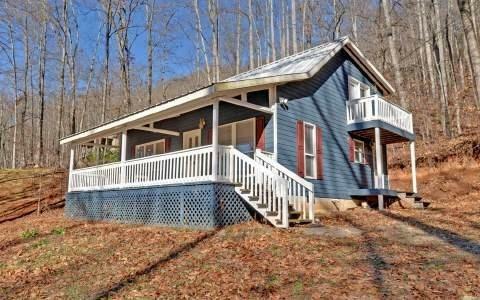 This is a great opportunity to have the mountain cabin you always wanted.